CG Says: For 2017, blind-spot alert and rear cross-traffic alert are newly standard on Kia K900. Otherwise, K900 is unchanged. The K900 is a 4-door sedan that competes in the Premium Large Car class—home to such stellar vehicles as the Mercedes-Benz S-Class and Lexus LS. The K900’s base engine is a 311-horsepower 3.8-liter V6 and a 420-hp 5.0-liter V8 is available. As is customary in high-end luxury sedans, the K900 comes standard with a long list of standard equipment. Included in the V6 Premium model’s base price are front and rear camera displays, a power-closing trunk, power rear sunshade, and 18-inch wheels. The V8 model adds features such as 19-inch wheels, a surround-view camera system, LED headlights, and lane-departure warning. Separate VIP packages for the V6 and V8 add even more lux gear, such as power soft-close door latches, power-reclining rear seats, faux suede headliner, adaptive cruise control, automatic emergency braking, and wood seatback trim. 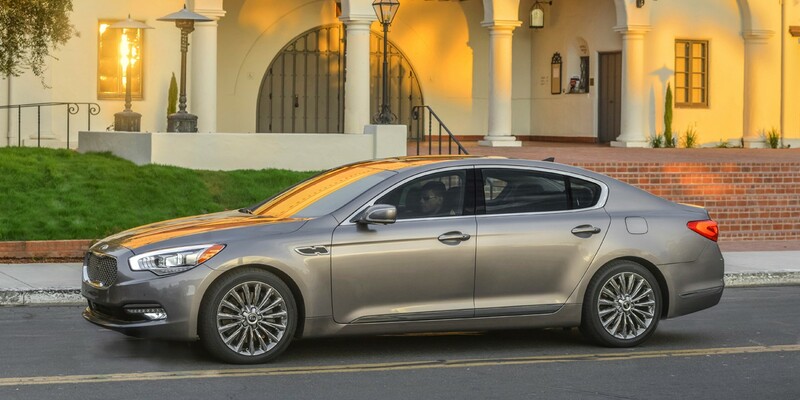 The K900 is an audacious first effort in the large luxury sedan market. Though it doesn’t match the best in the class in terms of ride quality and cutting-edge technological features, it offers a convincingly luxurious ambiance inside and out, at prices that handily undercut most of its rivals.